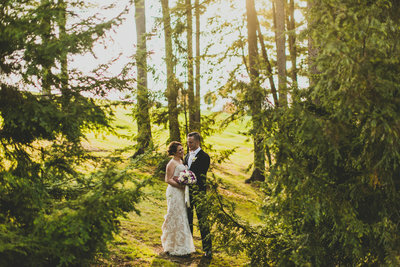 Amazing people and meaningful moments tell the story of a wedding day. I want to document yours with honest photography. Hey there! 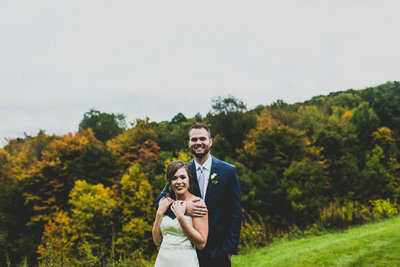 My name is Ryan and I'm a wedding photographer based out of Pittsburgh, PA. Now that we have that out of the way, let's get down to the good stuff-YOU ARE GETTING MARRIED!! I think that's just great. 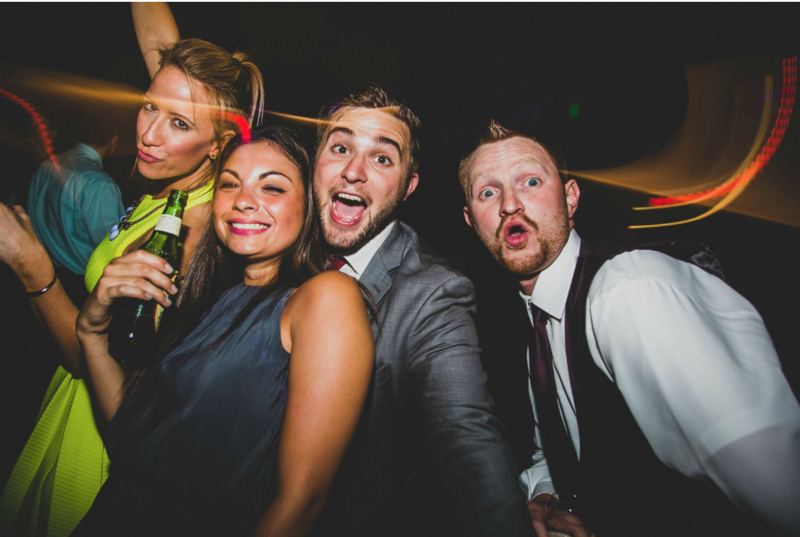 Seriously, I love weddings; this is an actual photo of me as a wedding guest. Told ya. When I say my style is "honest photography," I mean I'm there for you and I will document your day as it happens. It also means if I pose you and it looks awkward AF I am going to say so and change it up. It also means that if (when) I rip my pants getting into some crazy ninja stance to shoot you in the best light or fall off the side of a mountain because I'm so into you guys that I lose track of myself, I'm going to laugh about it. I'm always going to keep it real and be myself on your wedding day and I love it when my couples do the same! If you guys normally drink IC light and dance to 90s slow jams, do it! If you prefer early 2000's rap battles on the dance floor, definitely do it! What it comes down to is this: if you're comfortable with me, awesome photos WILL happen. I want you to enjoy every minute of your day, make some bomb memories, and leave it to me to keep em' safe. Click here to learn more about me. The guy who's gonna rip his pants shooting the hell out of your wedding. Five stars is not enough for Ryan. He is probably the best decision I made surrounding my entire wedding. 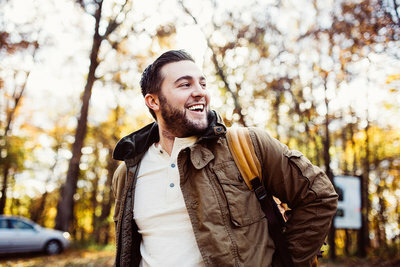 He is easy to communicate with from day one to post wedding follow ups. His photographs are AMAZING to say the least, as I am still getting compliments from friends and family on how great the pictures are and also how great he was on the day of the wedding. Ryan and Abbey remained professional throughout the entire day, but also are extremely fun and easy going that we felt like we were long time friends. My family told me the next day how much they enjoyed him and how organized and thorough he was, it made me so happy with the decision to have him there. On a day full of stress and anxiety, to have someone like Ryan who made us feel comfortable and made us laugh throughout it all was so meaningful. His passion for his job is contagious...you will not regret hiring Ryan at all, and I promise he will not disappoint with his amazing photography!! My husband and I can't say enough kind words regarding Ryan Zarichnak. 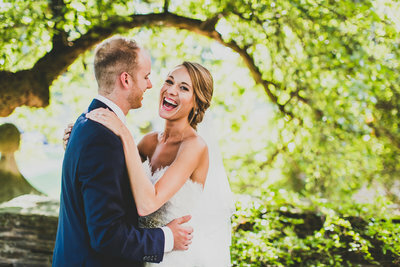 When trying to find a wedding photographer, it seemed impossible to find someone who captured the special moments you want without costing a fortune. That's when we found Ryan. My husband did a lot of research on photographers in western Pennsylvania and conducted google searches based on the photos, not on the business name. Ryan's photos kept popping up and they looked exactly how we imagined our wedding photos to appear.  We found Ryan's website and it also was amazing. He was very thorough and sincere in what he hopes to capture with his photos. His website is one of the big reasons we wanted to work with him. He had a short video of himself explaining his work and the types of people and environments he likes to work with. 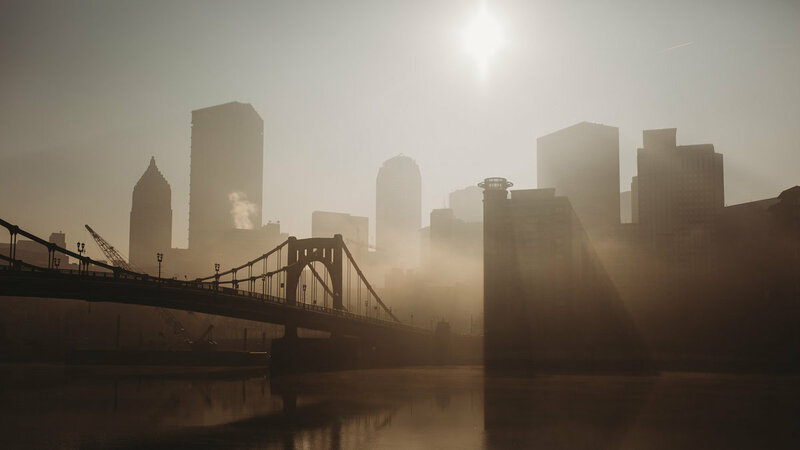 Although he travels all over the country to shoot wedding photos, he works out of the Butler area and has a prominent role in Pittsburgh. We reached out to him, found that he was available, and realized that we were going to be working with an incredible guy who really is an amazing artist. Ryan offers multiple packages and the one we chose included engagement photos, a personalized wedding website, and wedding day photos. Ryan takes all of the pictures and grants immediate access directly to you without any watermarks, obligations to order prints off of him, etc. You pay for the photos and you get them. Something that our guests really loved about the wedding was the website that Ryan created for us. He has samples on his own company website, but he really set it up how we asked, and if there were tweaks, he updated the site for us whenever we needed it. It was nice to have a website made just for us where all of our photos would be accessible for our guests. 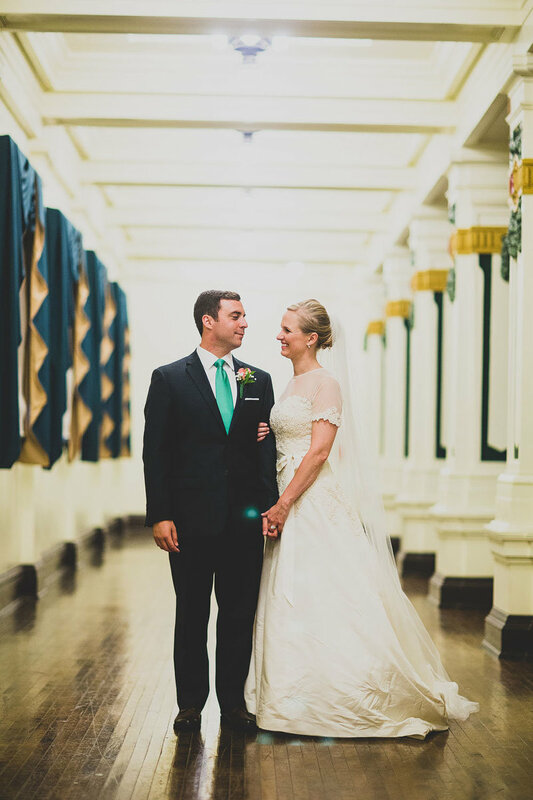 On top of the amazing website, we also received wonderful photos from both our engagement shoot and our wedding day. 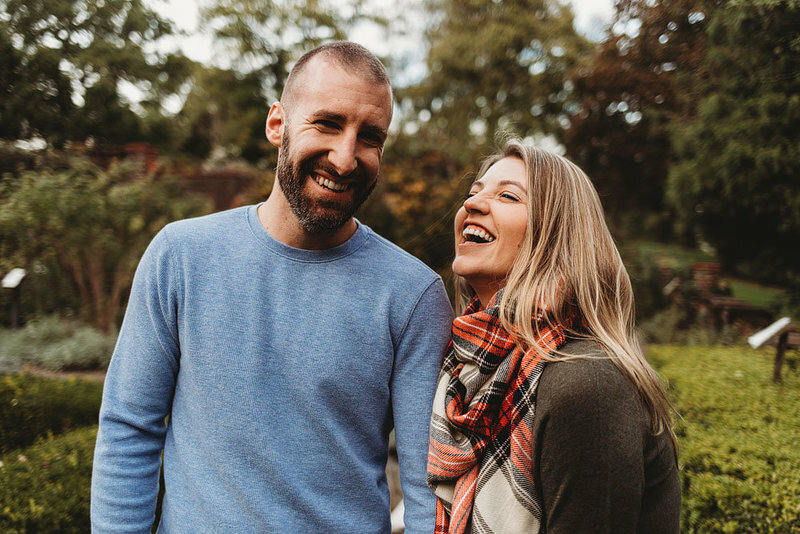 Ryan really took the time to get to know my husband and I and made us feel completely comfortable throughout the entire process. Ryan's fiancee, Abbey, is is second shooter and she is equally wonderful. They work great together and really helped us enjoy those times. Leading up to the wedding, Ryan was very professional and timely with checking in about what photos we hoped to get on the wedding day and details for where he and Abbey needed to be and when. They were prompt, professional, and fit in great with our friends and family. Many weddings I have been to have photographers that either look way too casual for the event, or dress all in black and stand out at all times. Ryan and Abbey dressed like wedding guests and interacted with the people at our wedding. By the time the wedding day came, my husband and I had developed such a friendship with both of them that we still keep in touch months later. 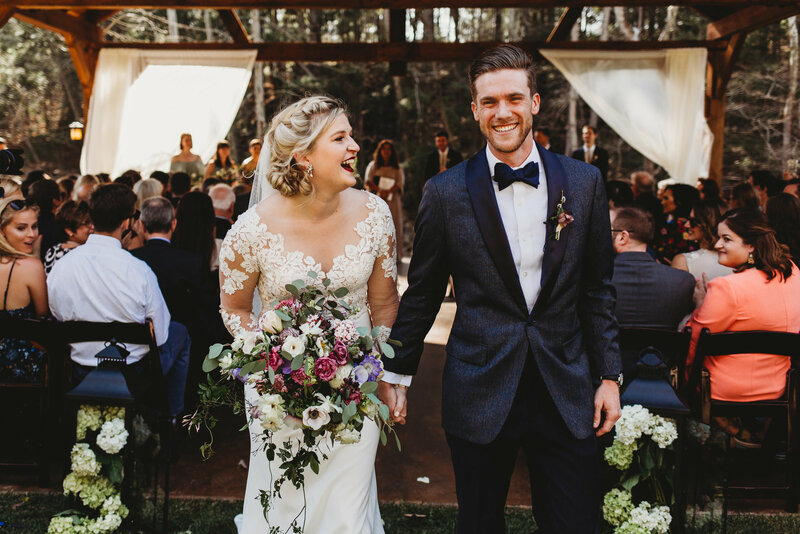 Ryan and Abbey were able to make anyone and everyone look great, and they utilized the spaces of every location to their advantage. We didn't want to miss much of our cocktail hour, so Ryan took us to spots closeby our reception and helped create scenery that we would normally take for granted. 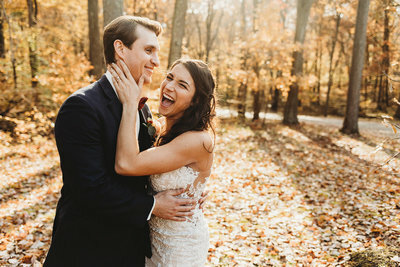 Our friends and family have been raving over his photos and we could not be more thrilled with how they turned out. His turnaround time is very quick and he constantly made us feel like we were in good hands. I could go on and on, but bottom line: Thank you Ryan and Abbey-- you two are rockstars! Asking Ryan to be a part of our wedding journey was easily one of the best decisions we have ever made. Not only do I have stunning photos that bring be back to the most amazing moments of my life but I can say Zach and I have made a lifelong friend. 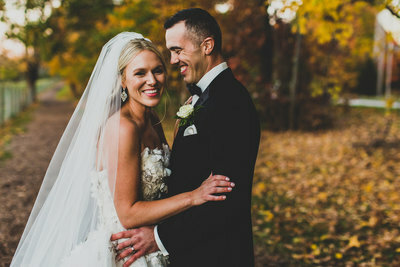 I reached out to Ryan after attending a friend’s wedding that he shot a few years ago, once I saw her final photos I instantly fell in love (pun intended) with his photography. 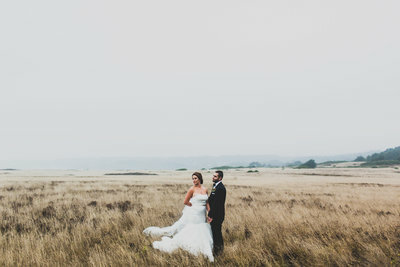 I couldn’t imagine anyone else shooting my wedding. When I got engaged Ryan was my first phone call (after friends and family of course J). He happily worked with me over a two year period to shoot both our engagement photos in May 2016 and our wedding weekend April 13-14th 2018. Over that time we got to know him pretty well between the planning emails and phone calls. However our engagement session is what solidified that Ryan was the perfect photographer for us. He made us feel so comfortable and honestly it felt like just hanging out with a friend not an awkward photo-shoot at all, and the result was amazing. We bonded over travel, adventure, pups, hiking, beer and stunning sunsets. After that I think we all were excited to see what he would be able to capture over our wedding weekend. We had a destination wedding of sorts, our large extended family from out of state all came together and stayed on one amazing property for the weekend to celebrate. We had Ryan attend the rehearsal dinner to have more time to capture family and friends who haven’t been all together for years. Then of course he was with us for our wedding day. Ryan seamless fit into the day it felt like he was always meant to be there. By the end of the weekend Ryan was a part of the family. He was so easy to work with it never felt like work and the pictures we now have are too wonderful for words. We all will cherish Ryan and his photos for a lifetime. Ryan was recommended to me by a florist in Pittsburgh who had recently worked with him on a blog photoshoot. 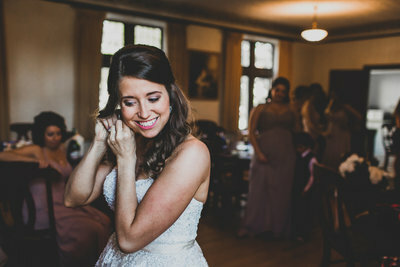 I scheduled a first meeting with Ryan and knew within minutes of meeting him that he would be the perfect photographer for our wedding, and someone you could easily be friends with! Ryan is incredibly relaxed, easy going and friendly, and makes you feel very comfortable in what can be an unfamiliar setting. 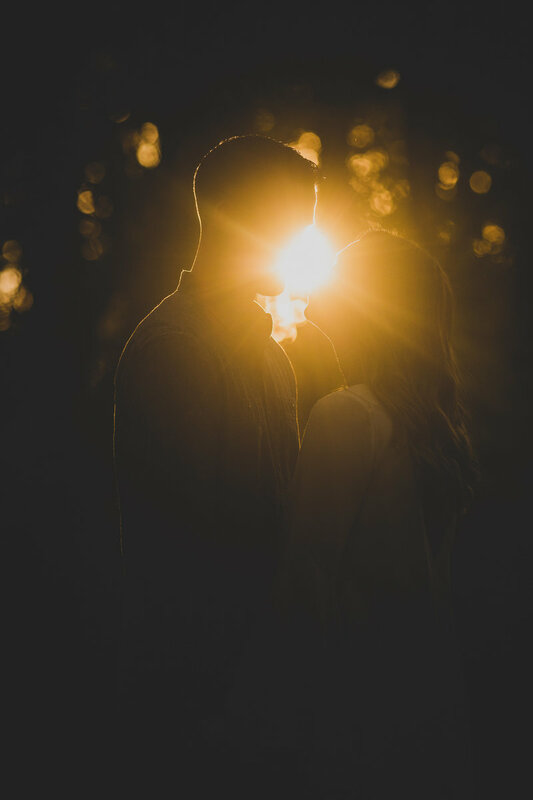 My fiance and I had never had professional photos taken, so we decided to schedule an engagement shoot so we could spend time with Ryan and make sure we were ok in front of the camera. My fiance immediately liked Ryan as well and was way more comfortable getting his picture taken than he thought he would be. My fiance and I immediately felt like we had known Ryan and his girlfriend for far longer than just one day - we ended up grabbing beers after the shoot! 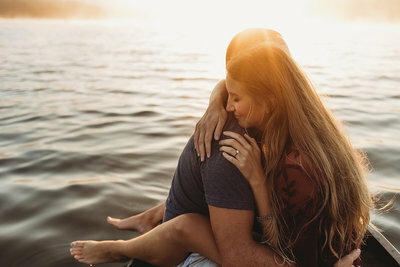 We loved our engagement pictures and were then even more excited for our wedding day. On the day of the wedding, Ryan made everyone feel so comfortable that a lot of my bridesmaids thought he was a friend of my fiance's! Ryan was with us for the whole day (which was quite long) and he was always patient, helpful, and happy and he managed to capture so many amazing moments - even navigating some uncooperative weather! He is professional, responsive and thoughtful, and his pictures seem to capture the important and candid moments perfectly. Highly recommended!! FOR MORE REVIEWS CLICK HERE AND CHECK THEM OUT ON THE KNOT.